On June 29, Netflix added a truly special new documentary to its online streaming roster. 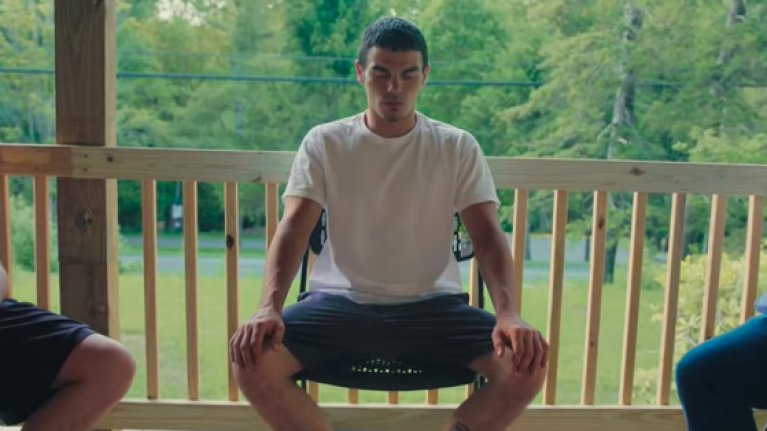 The Netflix Original Recovery Boys follows the journey of four young men affected by America's opioid crisis as they fight for recovery at Jacob's Ladder Rehabilitation Centre in West Virginia. The four young men — Jeff, Rush, Adam and Ryan — learn to open up about their feelings and their torment as they work on Jacob's Ladder farm. Together, they make hayrides, feed and tend to the farm animals and till the land. The documentary, which clocks in at a perfectly watchable 90 minutes, is an eye-opening look at the damage America is suffering in the midst of the opioid crisis. More broadly, it's also an insightful look into the male psyche, and the value that comes when young men learn to open up to one another. Over the course of the hour and a half, we see the young men supporting each other through various tragedies — including the news that Jeff's young daughter was molested while at a foster home. While working and living together, the young men learn to support each other, care for each other and love each other — but is it enough in the face of such overwhelming addiction? The documentary was directed by Elaine McMillon over 18 months, and closely follows the setbacks and triumphs of the young men and their families as they battle to save their own lives from addiction.